According to a report by Groove Naiija, a fully loaded 18-sitter bus has plunged into a flooded bridge along Bayelsa road following the recent devastating flood in the area. 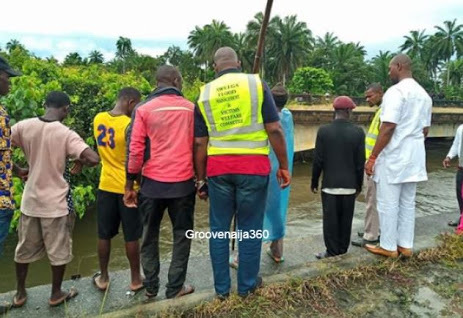 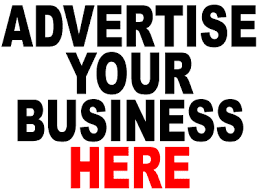 The fully loaded Hiace bus dived into a flooded bridge along Okogbe-Mbiama axis at East-West Road, Ahoada West LGA, Rivers State after it mistakenly slipped of the major road. 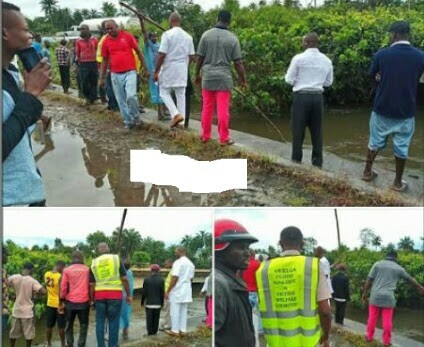 However, several attempts by the AWELGA flood management and victims welfare committee to rescue the victims are yet to yield positive results as at the time of this report by Groove Nija.